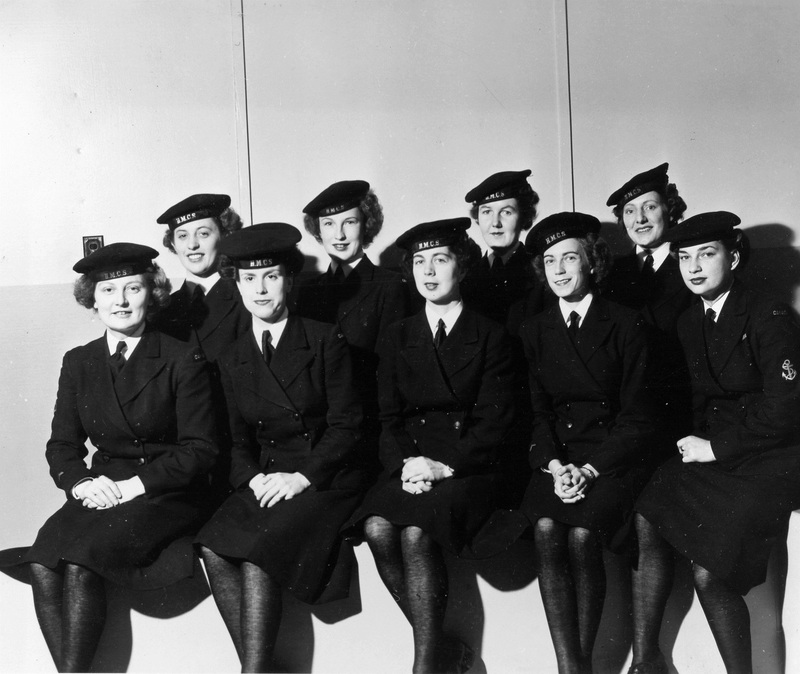 One of the two sailors in this photo is named Edwards. That's all that is known. Where is Albert Charlie Dugan? He is originally from Belfast...a lot of RN people transferred to the RCN during the war...a relative has decided to find out where he is (if still alive or where he lived in Canada)...she didn't even know what the HMCS stood for...the picture hangs on a living room wall in Belfast and the info on the back gives his name as Albert Charlie Dugan, June 1941, age 20 and with some help we figured the name on the front was HMCS Alberni...although I did check the list of personnel on the ship when she sank in the English Channel in 1944 and he was not listed. 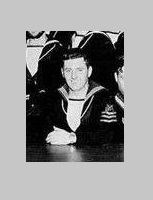 William Lebert - who may have served in HMCS Magnificent during the mid-1950s. I am looking for information and photos of my biological father Clifford George Morris. My parents split up when I was young (in 1948). The only information I have if from his obituary which I found online. It is believed he served in HMCS Saguenay as some point before taking his commission as an officer in the RCN. 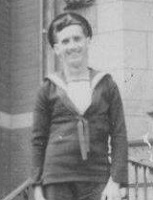 I am looking for any information and photos on him from his early years in the RCN. If you can help, please send an email to Sandra. 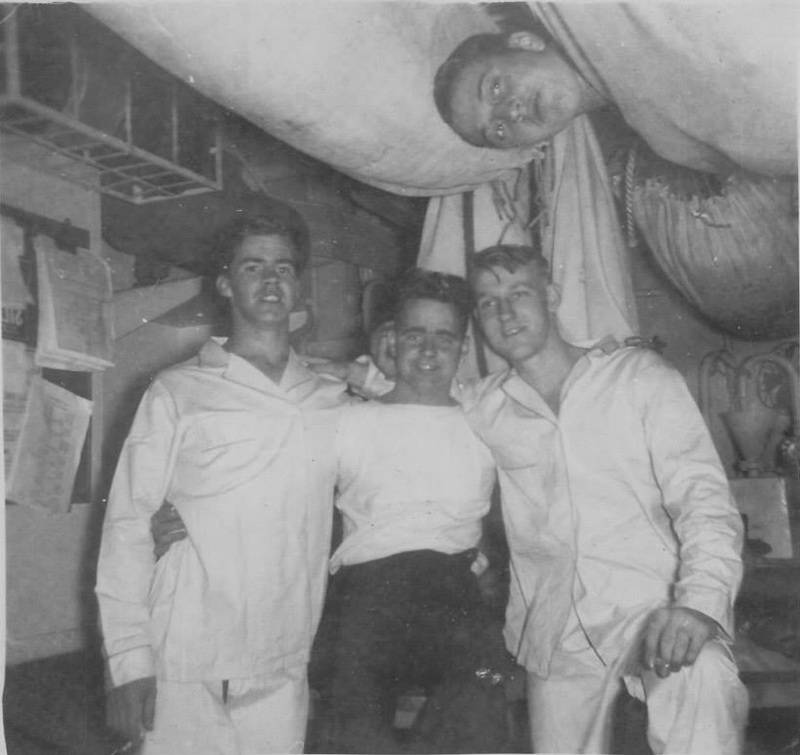 We are looking for information on the sailor in this photo. No information on who he is, is available. All is known is that during WW2, he knew a woman from Caledonia or Halifax, NS. 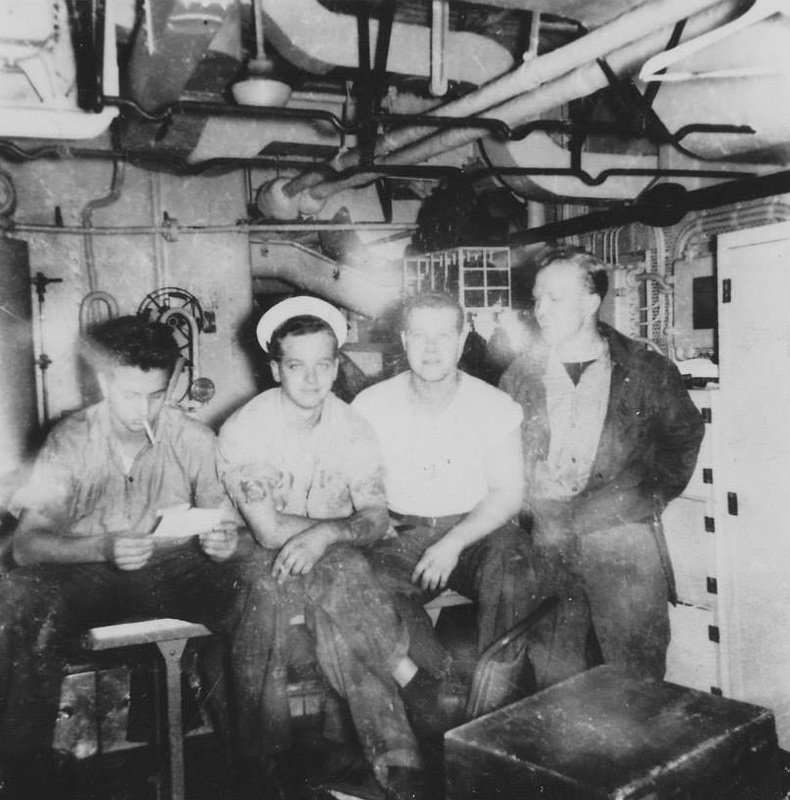 This picture is believed to have been taken between September to December 1945. He is wearing his winter dress and a wartime tally. 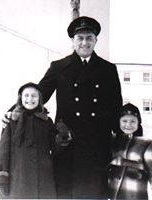 There is no guarantee that the sailor in this photo is the prospective father of the family searching, but at the moment it is the only lead.  Anyone who might recognize this sailor is asked to email the webmaster or B. Davis. Little is known about Tim - what is know is that when he was on Snow Prince he was a bachelor and owned a home in Prince Rupert, BC. If anyone can provide anymore information on Tim, please send me an EMAIL. This photo was from Dolores Hill. She is looking for information on her father's time in the RCN. The man on the right is John "Jack" Fisher. The man on the left is unknown. The picture on the right has the name Jack Fisher. Below that appears to be a "M.S. Neptune" with the date of 31 Aug 16. The gentleman on the left has an cap tally that says Collingwood. 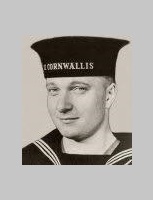 Dolores believe her father served in the RCN in WW II on the corvette HMCS Collingwood; but based on the photo, it is more likely WW I - and he possibly served on the Dreadnaught HMS Collingwood and / or HMS Neptune. Anyone having any information on John "Jack" Fisher or the identity of the other person in the photo is requested to EMAIL the webmaster. Credico (poss Bredico), John M. Tel T/O, RCNVR. John served in the RCNVR from Sep 1942 till Dec 1945. he received the 1939-45 Star, Atlantic Star, France-Germany Star, Canadian Volunteer Service Medal, Victory Medal, CD and clasp. 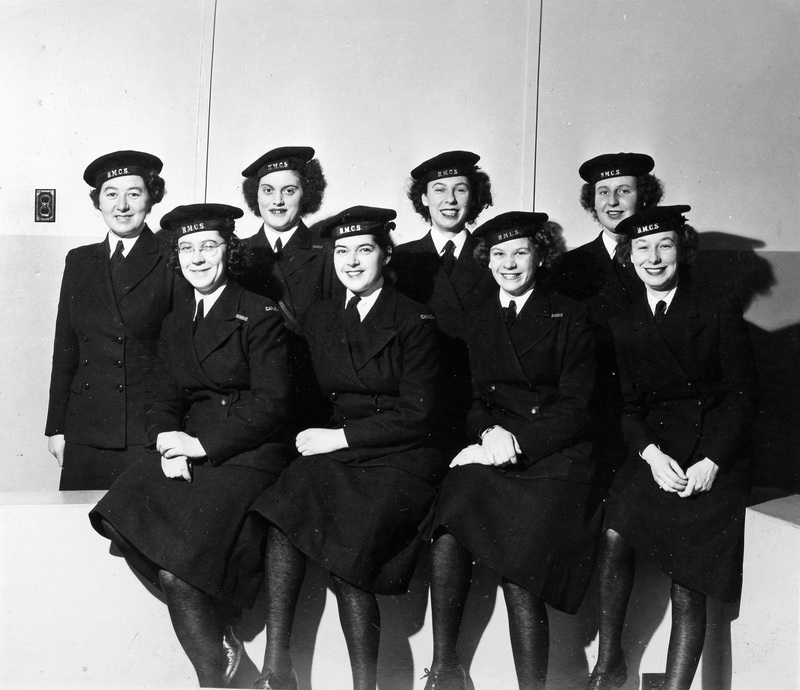 Additional info: S/Sgt 33rd Flt Sqn, RCE (M), WO - 18th Field Regiment RCN (MA). Served 1943-1949 Royal Canadian Naval Volunteer Reserve. Served in Canada and on the high seas. Medals: 1939-1945 star, the Canadian Volunteer Service Medal with clasp and the War Medal 1939-45. 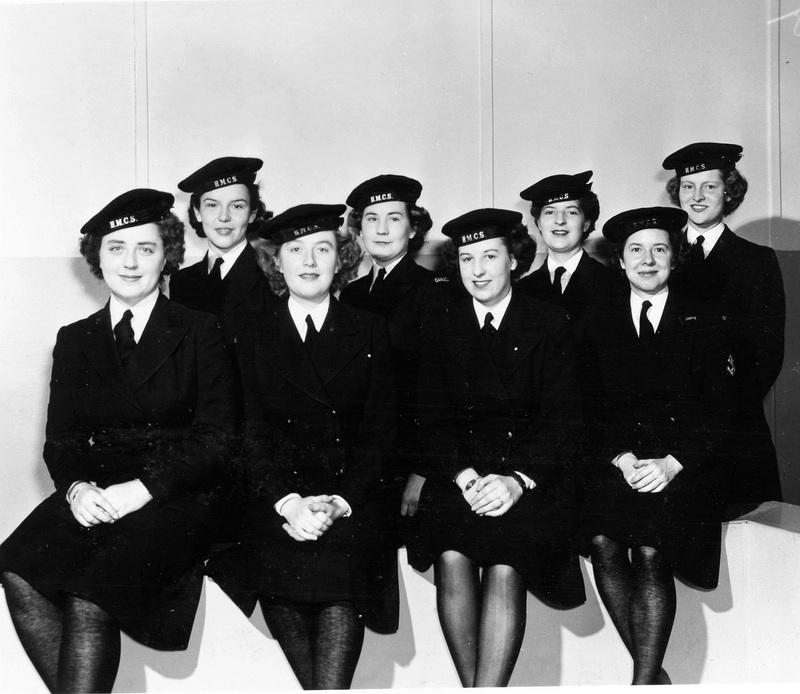 Served in the RCN from 1939 to 1945. Son of Mr. and Mrs. J.W. Robertson. Born in Medicine Hat, AB. Attended school at Cedar Hill School in Victoria, BC. Worked for CPR before to enlistment. 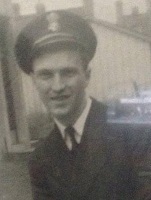 Had a brother Bill Robertson who served in the RCAF. Resided in Shannon Park / Wallis Heights. Resided in Shannon Park / Wallis Heights. 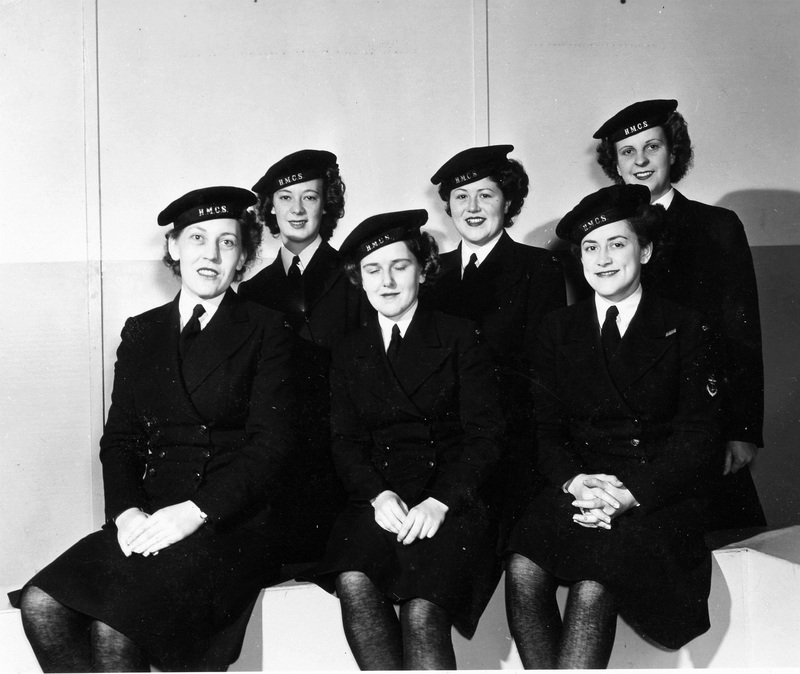 Served in HMCS Restigouche. Click on the photo on the left to view a larger image. 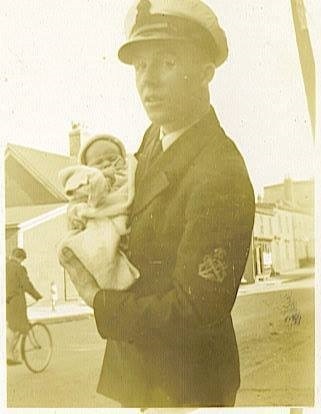 Photo of CPO1 Vincent During holding the future CPO1 Ray During. 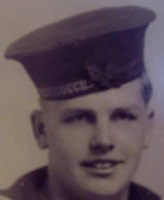 Served in the RCN during WW2 and the Korean War. Resided in Shannon Park / Wallis Heights. Click on the photo on the left to view a larger image. Hinch, Harold (front row centre), remainder in photo unknown. 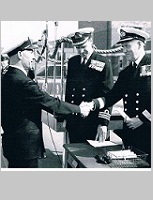 Harold served in HMCS St. Laurent and/or HMCS Cayuga 1957-60, Engineering Branch. Click on the photo on the left to view a slightly larger image. 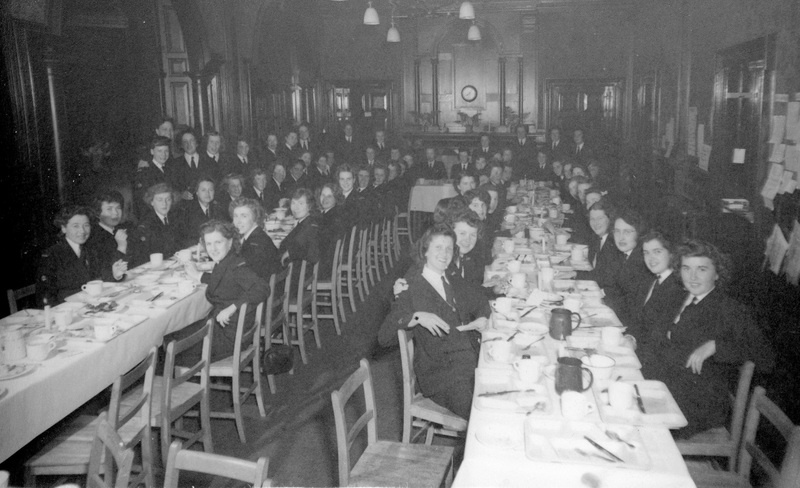 Served in HMCS Restigouche. Resided in Shannon Park / Wallis Heights.